Thinking about John Dickinson, and missing him — this week, it is thirty years since he died in San Francisco. 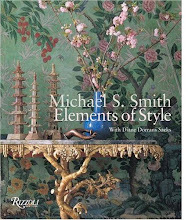 I’ve written about John Dickinson over the years, and I’ve featured his interiors in many books I’ve written, and I’ve created several blog posts about him. You know that John Dickinson was an early and significant mentor to me. I’m remembering him with love, thirty years onward. John’s wit and charm and wisdom and insight continue to inspire me—and many interiors designers, architects, furniture designers and editors. The rigor of this thinking, the focus of his gaze, his sharp pencil, his elegantly polished interiors—have made him a design icon, one of a pantheon of gods whose greatness has never faded. This week I’m looking back—and at the same time looking at new work by admirers of John Dickinson, including New York designer, Michael Formica. Come with me and meet a remarkable man—and see why his designs still matter, three decades on. Interior of Dickinson's firehouse residence in San Francisco. Many collectors have not yet heard of John Dickinson. It is time to meet this genius designer, and to learn from, his deep and polished sense of refinement, his good humor, and his highly opinionated concepts of design. Today, true design and architecture connoisseurs are staking out their own territories, exploring and Mapquesting the wilder shores of design history with grit and wit. An international roster of design stars, including trend-setters like Konstantin Grcic, the Bourellec brothers, Marcel Wanders, Marc Newson, Tom Dixon, Andrée Putman, and Garouste & Bonetti, and California-born Dickinson are among the iconic talents that collectors are seeking out today as their experimental shapes and space-age materials give them an edge on tip sheets for design immortality. But…John Dickinson left this earthly plane of design thirty years ago. The others listed above are still working (sadly, not Andreé), still designing. 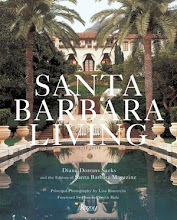 Dickinson’s designs today look as fresh—and are as copied and emulated and reborn—as they were thirty years ago. 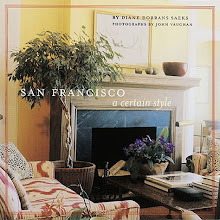 San Francisco furniture and interior designer John Dickinson worked in the 1960s and 1970s and into the 1980s—as almost a renegade, enjoying his 'outsider ‘ status that made him even more admirable to admirers like Andree Putman, David Hicks, and Mark Hampton. A few clients—a handpicked and discerning few—hired him and were indeed fortunate. 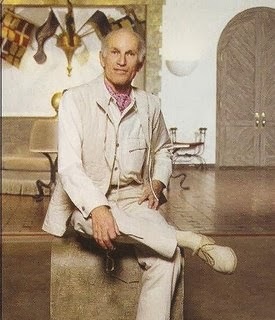 As many of my readers know, the furniture designer/interior designer John Dickinson was a close friend of mine. I knew John’s work well. I was fortunate to learn of him and interview him and meet him before I moved to San Francisco. Our friendship continued until the morning of his death at the Firehouse on Washington Street. The ambulance drove away. 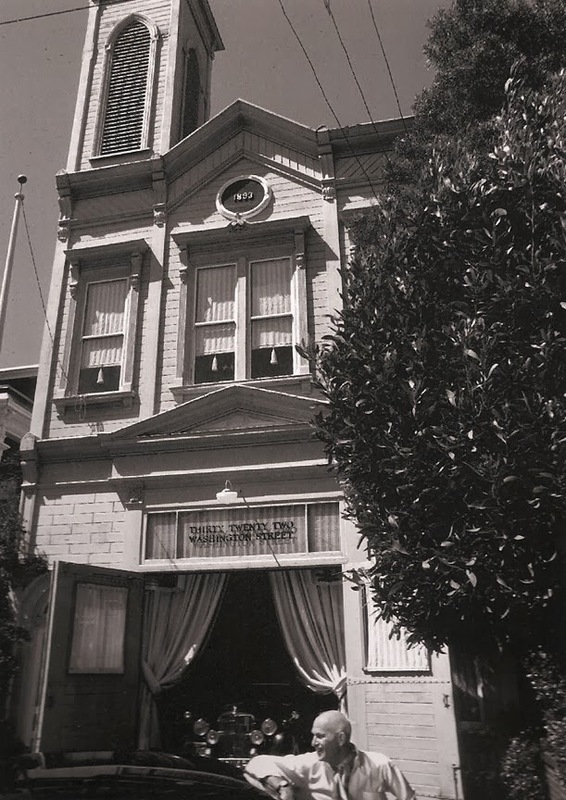 Photographs of John Dickinson and his San Francisco firehouse residence were taken by the great San Francisco photographer, Fred Lyon, and are used with permission. 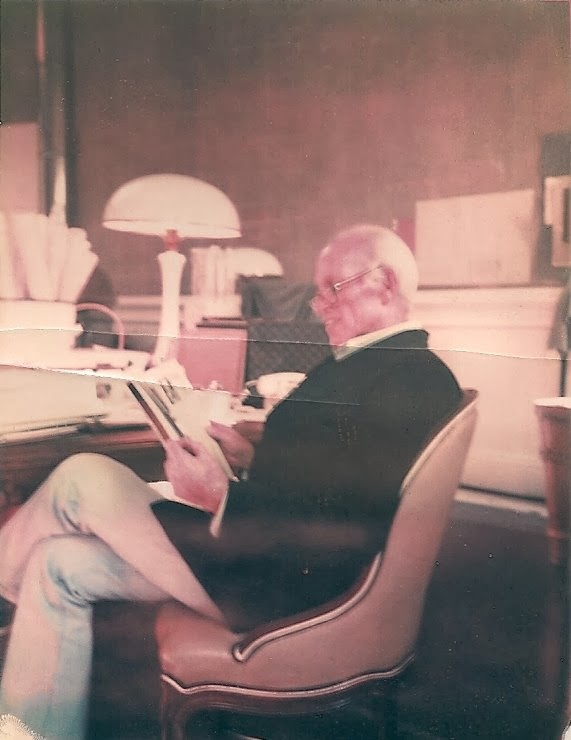 Many design insiders today still consider John Dickinson the most innovative and original American interior and furniture designer of the 20th-century. 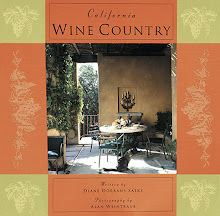 Designers as diverse as Michael Smith, John Saladino, Vicente Wolfe and Gary Hutton sing his praises. Forward-thinking designers like Michael Formica in New York, schooled in classical and modern design, are putting a new spin on interiors, blurring the lines between furniture and art, and embracing bold new furniture materials. 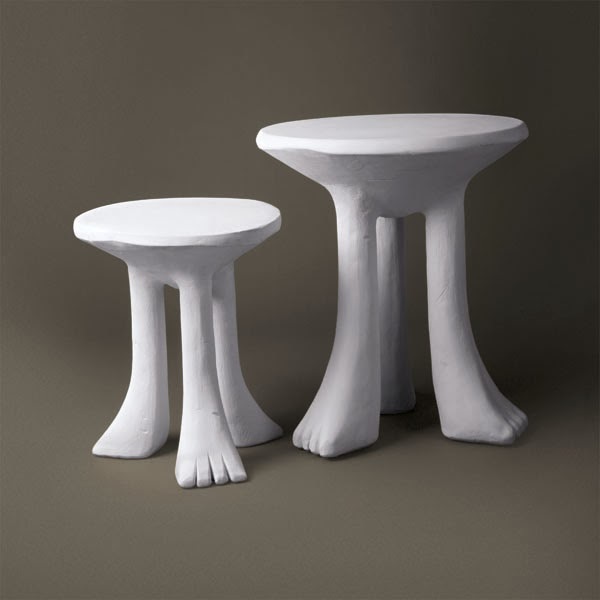 The dramatic pair of classical John Dickinson white plaster tables, elegantly positioned in Michael Formica’s New York living room look like mysterious sentinels at each end of the sofa. living room. 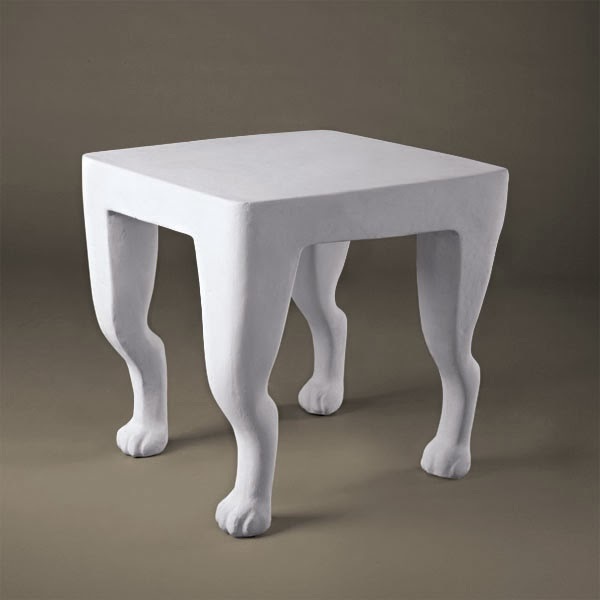 These unexpected tables can take an alert and curious observer on a design journey. They can also inspire a new realm of collecting. Formica fearlessly mixes with the Wanders rope chair, a Noguchi table, and the crisp geometric Salvetti Open Box table. For me, Formica’s living room decor renewed my admiration of John Dickinson’s highly original furniture designs, and a new appreciation of my mentor and friend. 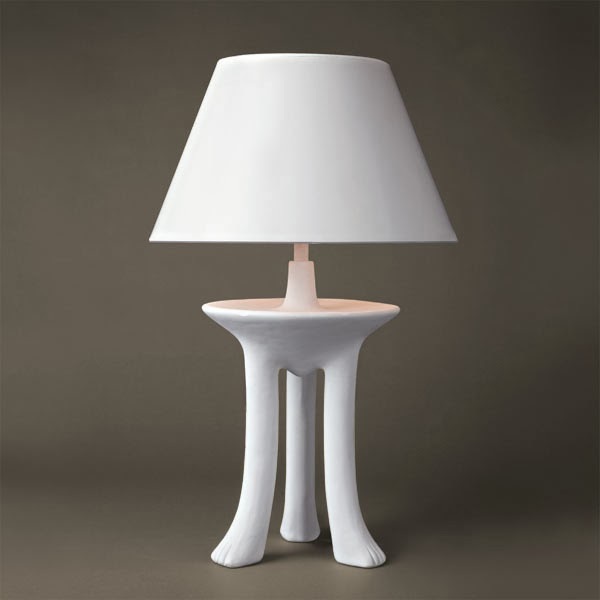 Michael Formica has been collecting John Dickinson pieces for more than two decades with a focus on less-known late twentieth-century designers. 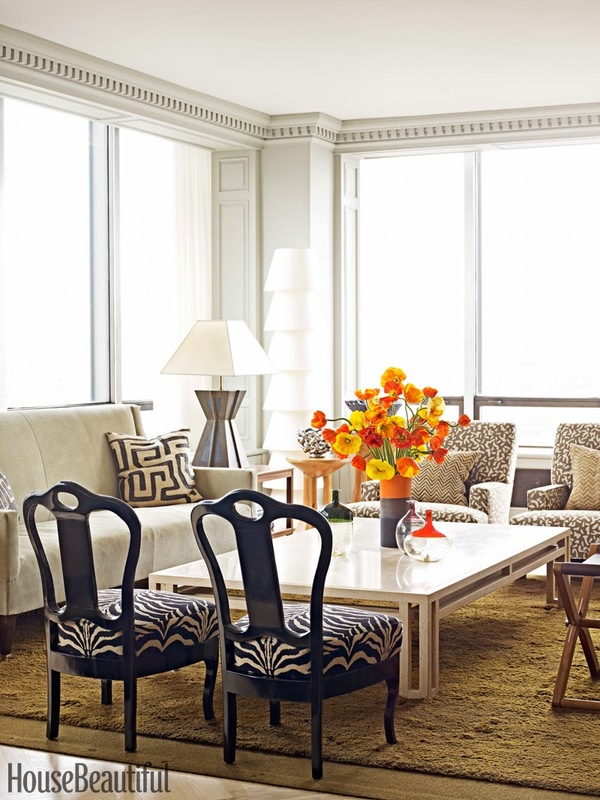 These tables are Dickinson’s most iconic, most versatile designs, at home on the Upper East Side and in a San Francisco firehouse. Michael Formica’s collecting focus—so individual and rare—can also be an inspiration to collectors beginning their search for twentieth-century iconic design that has a touch of eccentricity. 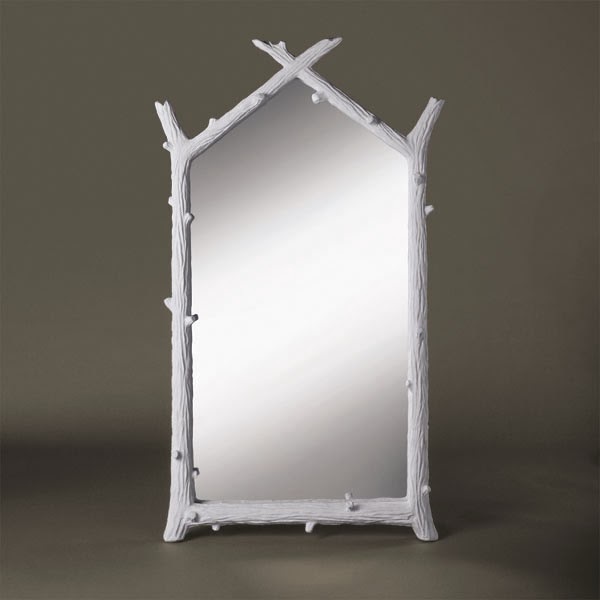 John Dickinson’s work in white plaster, hand-carved wood, and galvanized metal, has this quality. Darrin Alfred, formerly a curatorial associate of architecture and design at SFMOMA, once said of Dickinson, “Dickinson’s designs demonstrate his ability to both startle and amuse in a constant pursuit of originality.” A major exhibition of the San Francisco-based designer’s drawings and furniture pieces were on display at the museum in 2004. “His designs … still look unique and fresh even after thirty years,” Alfred added. Part of the reason for this was his use of industrial materials in neutral tones. Dickinson preferred to create drama by altering the scale, shape and texture of furniture instead of using colors and patterns, which would date with the passing of years and changing styles. Using an austere, classically inspired visual vocabulary, he drew upon historical and cultural references to define a style that appeared refined yet casual, and timeless yet up-to-date. John Dickinson designed and lived in an historic firehouse in San Francisco. The white-painted firehouse exterior, with its original massive doors, convoluted fretwork, elegant pediments, and noble tower, is still preserved, and decorated with the same carved wood hose with carved nozzle, but I’m sorry to say that nowthe signatures of Dickinson’s era--brass nameplates, the white-canvas curtained portiere history. The firehouse was de-accessioned by the City in the mid-1960s and snapped up by designer John Dickinson. He achieved instant legendary status in the design world after House & Garden published the totally original interiors in the mid-seventies. 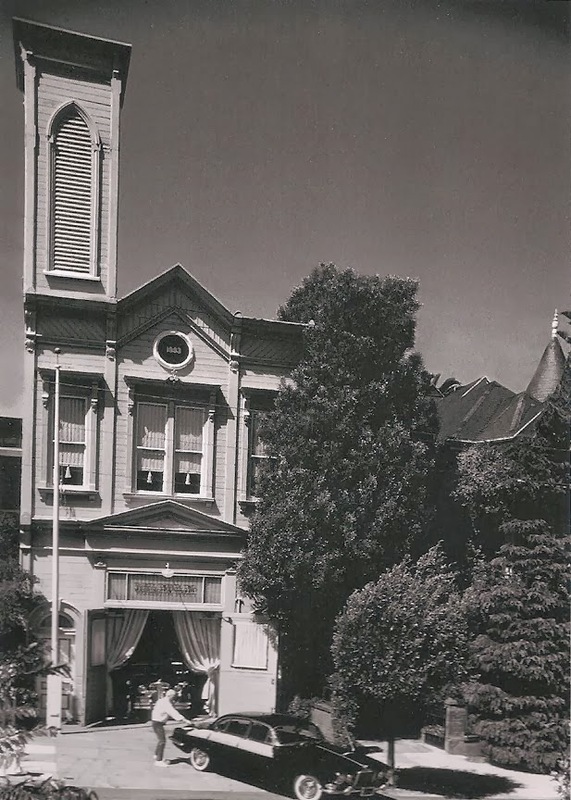 In the soaring 25 feet x 50 feet upstairs space, formerly the fire fighters’ dormitory, Dickinson positioned his iconic plaster tables, an elegant Art Nouveau table, collections of African ‘airport art’ sculptures, and sinuous Victorian chairs covered in pale gray leather. 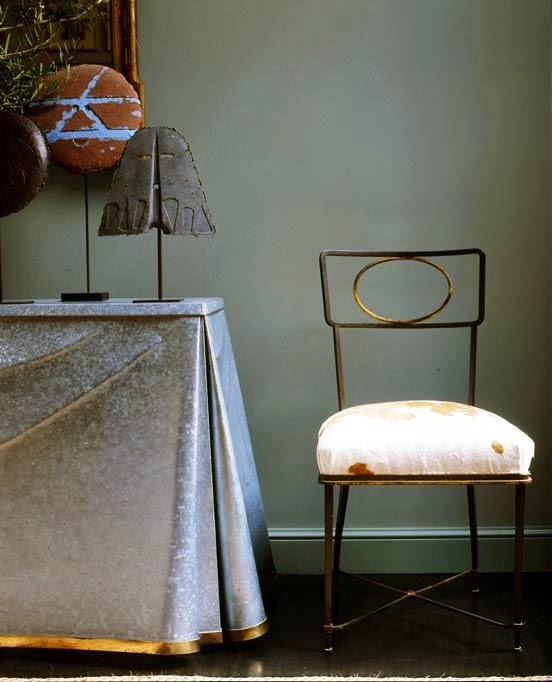 From the collection of San Francisco designer Steven Volpe, John Dickinson’s seventies draped table was crafted from sheets of industrial metal finely perfected to simulate draped fabric. John set very high standards for himself, for the craftspeople who executed his work and for all his designs. He was always paring his designs down, never romancing a room with frills or what he called "fluff." "Prettiness has nothing to do with style," John told me. "Logic precludes prettiness. If you're stripping down rooms, as I do, there's no place for it." John Dickinson lived a very private life. He was very inaccessible in his firehouse ‘ivory tower’, working until midnight, seeing close friends only, never attending cocktail parties, seldom a dinner. He seldom left San Francisco as he hated to travel. 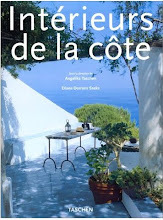 I lived not far away, and saw him very often, and at times would take my portable Olivetti typewriter over and work beside him at his worktable (a grand Art Déco table). I have photographs Victor Arimondi took of me typing, and John at his drawing table with slide rules and pencils (yes, no CAD…). 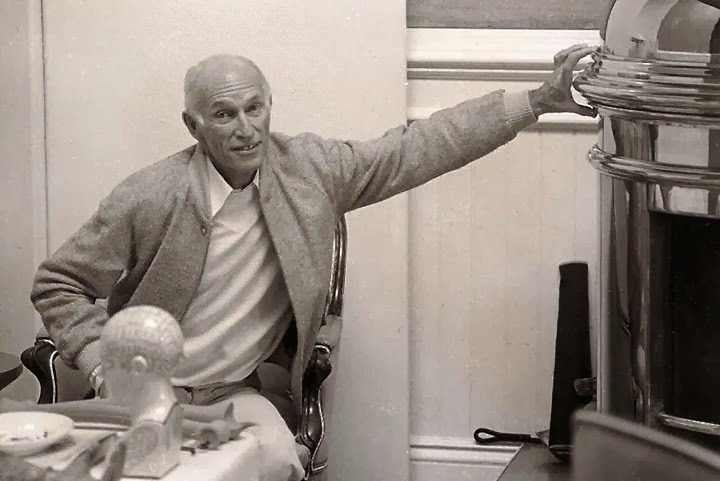 John’s work and persona were somewhat remote and intimidating—so there was and is a mystique about the man and his designs that continues to attract younger designers. Established designers as diverse as Ron Mann, Angelo Donghia, Ward Bennett, Michael Taylor and Robert Hutchinson are (or have been) among his legion of admirers. 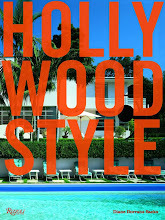 Many designers today like to incorporate some Dickinson pieces or ideas into their work—including Matthew MacCaul Turner, Michael S. Smith, Steven Volpe, and Michael Formica, and certainly Houston designer, Randy Powers. Like Jean-Michael Frank who said about his designs, "One doesn't work in centimetres but in millimetres", John Dickinson was a perfectionist. 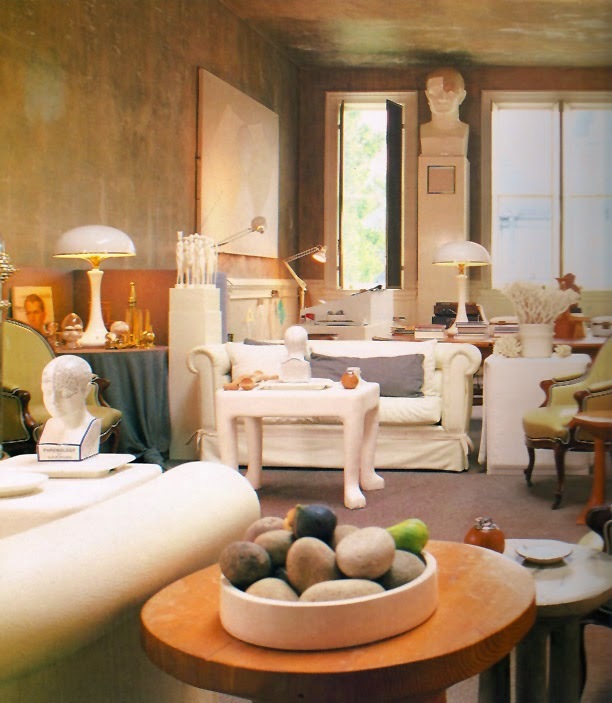 Nothing about his rooms was left to chance but they never looked stiff, intimidating, pretentious or on-show. Chairs were to be used and moved, pillows were to be leaned on. Lights were for reading or drawing, tables were the right height for books, drinks, ashtrays, newspapers. John Dickinson's look was original, daring, witty, learned, rigorous and rather rarified. 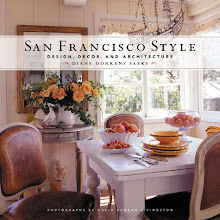 His signatures included his remarkable line white plaster tables and lamps,(no longer made but still some wonderful examples in rooms in San Francisco), natural canvas upholstery, simple scuptural shapes, classical references, white-painted wood, plain taupe or gray carpet outlined in white or black, muted colors and not too many of them, luxury in the details and in fine craftsmanship, and usually some charming eccentricity in the design. 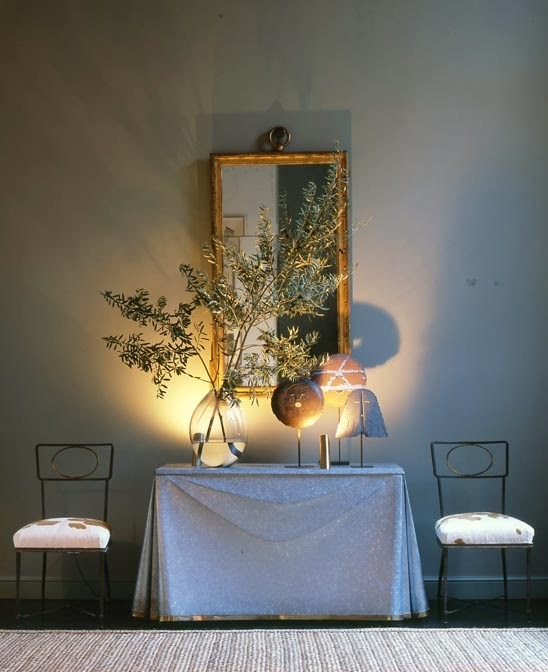 Tables have faux primitive animal legs, lamps and mirrors sprout twigs, a console has the rough texture of hacked stone, a three-legged lamp-base was inspired by an African tribal wood stool. One chic small table he designed looked, he said, "like rough boards pegged together by a five-year-old." 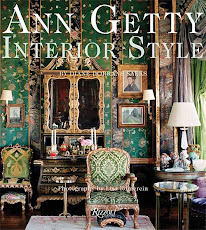 Dickinson loved the paradox of what Andree Putman calls, "rich and poor"—expensive upholstery details on plan canvas, an elegant slipper chair upholstered in white Naugahyde, muslin curtains done in the most "Balenciaga" way, expensive wool cord used as simply as jute twine. Today, his designs feel more relevant than ever. In 1979, I wrote a profile on designer John Dickinson for San Francisco magazine. 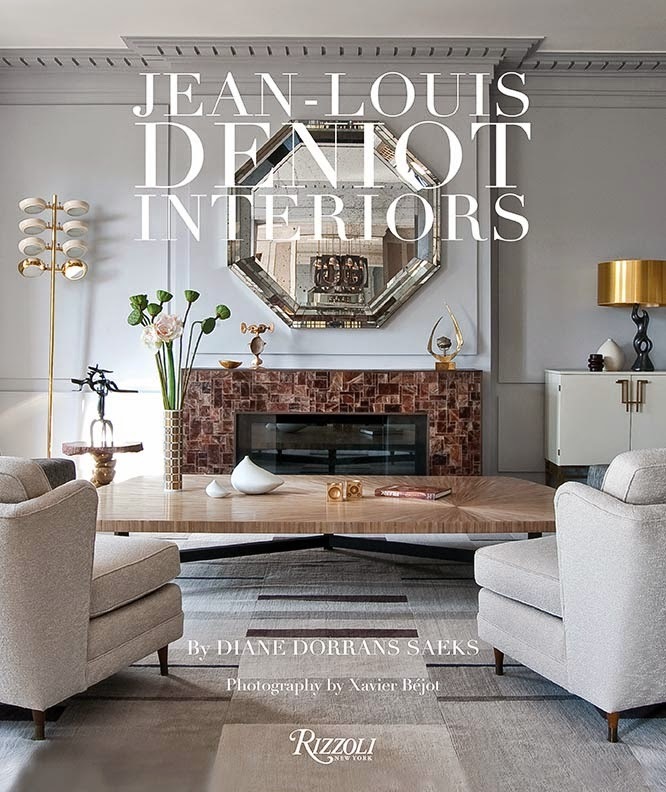 John and I found the collaboration so much fun we decided to work together on a book about his interior and furniture designs. Every Sunday morning I would tape conversations with John, talking about aspects of his design. He was highly provocative, opinionated, witty, erudite, generous, thoughtful in his comments, down-to-earth and hard-working. For more than two years he talked and I taped and I redaced and edited and wrote, until he died in 1983. I transcribed the tapes, but the book project was set aside for the moment. I still have all the tapes, plus transcriptions. These exclusive quotes are among my favorites. These quotes were all recorded and redacted from my conversations with John. The text is copyrighted. in 1981 by Diane Dorrans Saeks. "Taste is a word I avoid. Good or bad, it's all so nebulous. The more you're dealing with taste, the more you're on shaky ground. Vulgarity to me is another matter. Vulgarity has great vitality." "There's no cop-out in using pairs of things in a room. 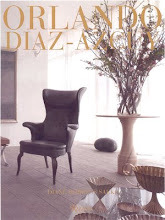 Matching chairs, sofas, lamps or tables can bring discipline, strength and balance to a scheme." "You cannnot do a lasting room design based on a current fad or novelty. There's a fine line between being amusing and being eccentric. A whole room based on amusing things would not be a laugh." "There are many places in a house that do not warrant expensive furnishings. It's really not essential to spend everywhere. Muslin curtains can be the prettiest things in the world if they're sewn beautifully. You just don't have to make a big production of everything in a room." "Some of the easiest things to use as inexpensive accessories are natural objects. Seashells are heaven. The bigger the better. Coral's marvellous if you can get big pieces of it. It must be large—little pieces don't mean anything." "I have long thought that if one has a fireplace, to feel one must out of necessity and total obligation hang something over it is absolute nonsense. I think a blank space over a mantel is very interesting. " "I don't like viewing my designs as sculpture. It's too pretentious. This is not art, it's decorating. It's not fine art, it's decorative art and there's a world of difference." 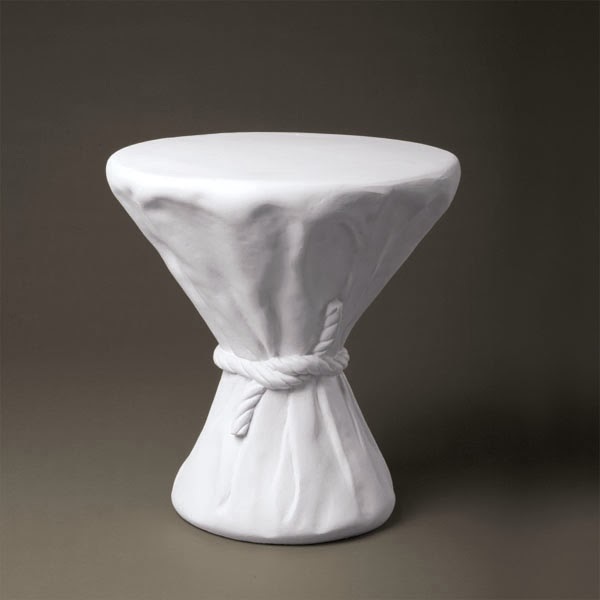 Recently, David Sutherland, with permission from the Estate of John Dickinson, has produced a very elegant series of John Dickinson designs in a new material that makes them suitable for indoors and outdoors. David Sutherland has built his company partly on his own refined design sensibility but also by partnering with the greatest artists working in the design world today. Now he reaches to the past and the future at the same time by bringing new, vigorous life to the work of one of design history’s acknowledged masters. The Sutherland John Dickinson Collection is available through interior designers and architects, and represented in to-the-trade showrooms nationwide and internationally. 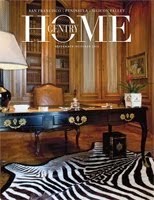 To view the collection, visit www.sutherlandfurniture.com or call 800-717-8325 for further information. 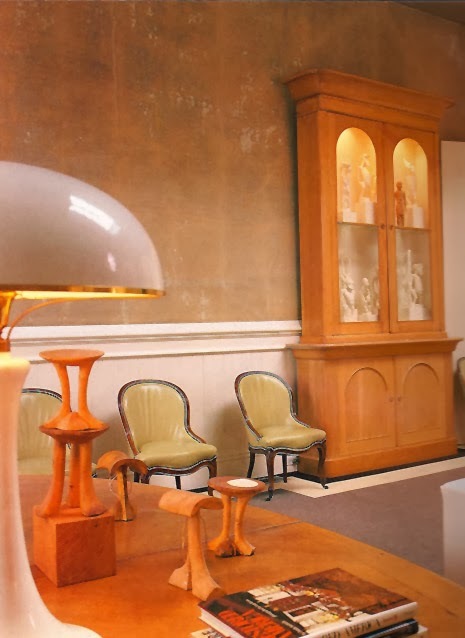 Collectors should follow antique dealers like Louis Bofferding and Liz O’Brien in New York, as well as auction houses like Sotheby’s, in New York, and Bonham’s in San Francisco and Los Angeles. 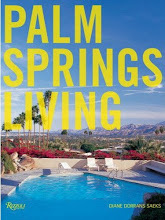 Some collectors swoop through the vintage galleries in Palm Springs hoping to score John Dickinson pieces. 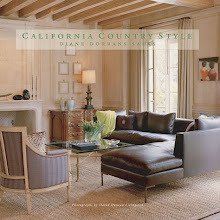 In San Francisco, Coup d’Etat, Darin Geise’s brilliant antiques and vintage gallery, recently displayed several highly collectible one-of-a-kind John Dickinson pieces, including the singular ‘Skyscaper’ bookcase, and elegant animal-legged occasional chairs. Parchment-covered coffee tables and consoles are occasionally sighted. Happy hunting! And long live John Dickinson. Black and white photograph of John Dickinson photographed at his firehouse residence in San Francisco by Victor Arimondi. All images here published with permission. 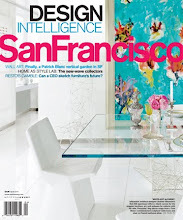 Images of Michael Formica's interiors used with kind permission of House Beautiful. Images of the Sutherland collection, by kind permission of David Sutherland. Didn't know the name. Did remember the work. The quotes from "the Wisdom" are so absolutely true. All of them! Yes, you make a great point…the interiors and he designs look fresh and were never trendy. I hope you are free and safe from the drama and political theater in Bangkok. Yes…imagine, I taped these comments so long ago…and they still seem very fresh and witty to me. Dear Diane, how wonderful to have John as a friend. His designs are so interesting, I would be in heaven to have his draped table! Yes, you are so right…the draped metal table, very highly collectible and not currently in production…very hard to make. I've had such a wonderful response to this story on FACEBOOK…you may wish to hope over and take a quick look. I loved his work from the first moment I saw it - always fresh. Yes…fresh! And it is partly the LINEN he loved…simple linen and simple cotton canvas…that make it look so fresh, not at all dated. Like you…he sees the beauty of crisp and simple unpatterned fabrics and liked the way they keep a room looking calm and polished. Thank you Diane for another great article about John. It's always so difficult to find anything about him either online or in print. He has been on my top three list for many years. Alongside Orlando Diaz Azcuy and John Saladino, John Dickinson is one of those designers who's work I enjoy staring at and dissecting. A true master's class. I look forward to the long awaited book when you decide that you cannot hold off writing it any longer. Yes… each of these designers…Saladino and Orlando and John Dickinson had an architectural background. They saw design differently-and in a more rigorous way. It was never about pattern, it was never about trends, it was never ever about anything flashy or 'clever' which was anathema to them…and Orlando now possibly in the greatest phase of his career. It is so unfortunate that the book project was set aside. I hope you will try to revive it as the design philosophy is still valid today and it would be a wonderful - and much deserved - tribute to John Dickinson. How lovely to hear from you. I've known all the previous owners (the first were friends of John's), and John Traina was a dear friend, so I've seen it go through many changes. It did not have an elevator when John was there, and the kitchen was closed…and the garage…was a real garage where the firetrucks used to park…I think the pole went at some point. Of course each owner was free to take out valuable and very special pieces (the gilt edged pub mirrors in the bathroom, the wardrobes, and the walls were painted.